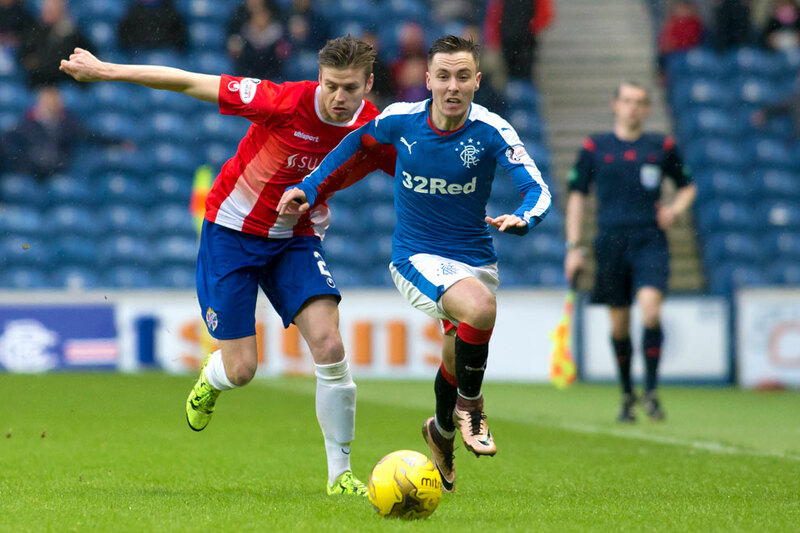 Where to begin with Barrie McKay’s output? Obviously his goal on his long run into the final third will get the most attention. But it should also be highlighted that 80% of his controlled entries into the final third led to a shot & 29% of Rangers total shots in the run of play came from McKay’s CZEs. It was another strong outing from James Tavernier, who chipped in ten CZE – one of which ultimately led to a penalty call. Gedion Zelalem actually had the same rate of Controlled Zone Entries as McKay. These are the kinds of matches where the performance of Andy Halliday is often overlooked. However, he was a real presence driving play into the final third on Sunday. He had seven CZE, which led to a goal, three shots, & two corners. Harry Forrester came on & promptly tried to impress his abilities on the Ibrox crowd. He had four CZE in 28 minutes which led to one shot on goal & a free kick earned. His skill-set seemed very aligned with Barrie McKay. 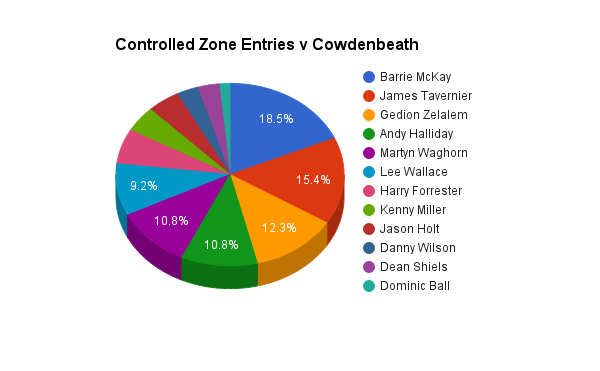 Of Rangers’ Controlled Zone Entries, 63% came in the first half as Cowdenbeath ceded more of the possession. With the opponents making a greater attempt to push forward, Rangers were a little more apt to look for longer balls into the final third to take advantage of number advantages. For the third straight match, Rangers generated a shot on approximately 30% of their CZE (31% against Cowdenbeath).